Apple released iTunes 9 yesterday and along with a bevy of new features, it also put the Genre column back into browser view — and the old trick for hiding it doesn’t work. 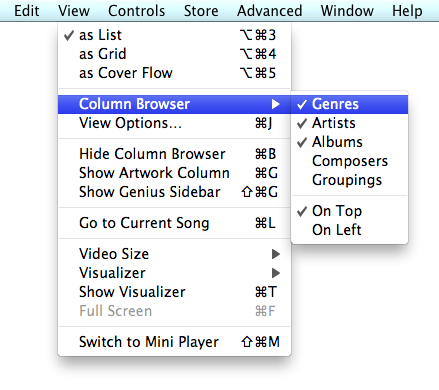 Fortunately, Apple has evidently listened to our cries of despair and there is now an easier way to disable Genres. 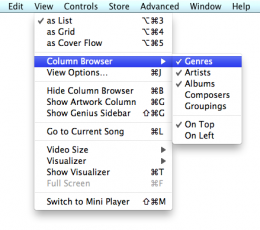 Just go to View > Column Browser > Genres to toggle the column on and off. Thanks, Apple!